For me the most fascinating talk at the David Lean Conference at Queen Mary University in London last last month (where I was speaking on The Bridge on the River Kwai) was by Linda Kaye, a senior researcher at the British Universities Film and Video Council. In January 1930, when David Lean was 21, he joined Gaumont Sound News as a cutter. 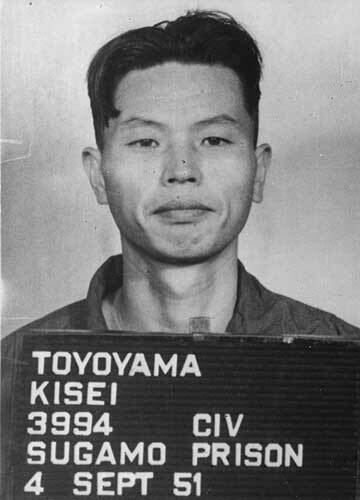 He honed his editing skills at a time of rapid transition, as the sound revolution began to transform the film industry. Linda Kaye offers a unique insight into this experimental environment, which was to prove a key formative period in Lean's development. Linda Kaye is Senior Researcher on the 'David Lean and Gaumont Sound News' project at the British Universities Film & Video Council. My emphasis on the word cutter. For someone who has spent a great deal of my career in television news, Kaye's presentation was a "hey this is really neat" moment. How many times have I sat in an edit suite, going back to my first VO edit at CTV News (Remembrance Day viz from Ottawa in November 1988) on huge machines of two inch reel to reel video tape, then through Sony betacam to todays' desktop television editing on computer and server? Well, here is where it all began (at least in the UK). Kaye explained that in the transition from silent to sound came just at the same time as newsreels were coming alive, the "editor" was closer to what today we would call a news producer. What today we would call an "editor" was called a "cutter." 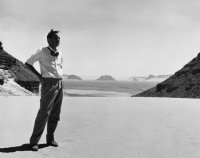 The special website David Lean and Gaumont Sound News (launched on August 1, 2008, just after the conference) takes you through the earliest days of editing news for the big screen. There was a race in 1929 and 1930 in a highly competitve market to get the first news with sound on film (SOF or today SOT sound on tape) before the public. If you want to skip the history (you really shouldn't) and just want to watch the news, you will find the Gaumont archive here. Watch the item on a 1930 match play golf tournament and ask yourself just how different is it (if you forgive the muddy sound for a moment) with today's live coverage of a golf tournament with all cameras on Tiger Woods. The British R101 airship crashes at Beauvais, France with the loss of 48 lives including a Cabinet Minister. David Lean recalled recording the commentary for the first edition of Gaumont Sound News released early that evening. The newsreels claimed to beat the press to the news story of the year. It's part of a larger project co-sponsored by ITN and Reuters to put many of the old British newsreels on the web. It's called the News of the Twentieth Century Project and you can see British news from the 1920s until the 1970s. Watching those first newsreels cut by David Lean and those other young men (as far as I know there were few young women in the field at the time) from their late teens to early twenties all those years ago, made me think about my newspaper colleagues who are jumping into video. Video is the latest saviour for newspapers, especially in the United States where newspaper industry has been grossly mismanaged by their corporate overlords. The same emphasis on video is happening in Canada where, so far, newspaper corporate management seems to have kept their heads on their shoulders. And figures do show that page views on newspaper pages does go up if there is video. I have seen some great video on newspaper sites. But in many cases, the editing of some of that newspaper video is not as good as the work from those teenage film editors in 1930. Lean first made his mark as a newscutter. He then became a feature film editor. He directed his movies with editing in mind. He directed Oscar winning movies with editing in mind. So, at work the other day, I stopped an editor friend of mine in the hall and asked her, "How long does it take to become a good editor?" An executive producer just happened to be passing at the time and she said, "Ten years," as she walked by. Once, not long ago, a young photographer would pay his/her dues, gain experience, find a style in smaller newspapers before working up to a major metropolitan daily newspaper (like The Daily Planet). So newspaper managers mark your calendar so you have time to watch the Oscars. Some star opens the envelope for best achievement in editing. And another star opens the envelope for the best achievement in sound editing. Then, newspaper manager, ask yourself, if anyone can do this, why are there Oscars for those fields? So hire a newscutter to edit the video your folks shoot. This week the CBC issued a set of "guidelines" for employees who blog. The guidelines were immediately controversial and the debate on Tod Maffin's Inside the CBC is still raging at this writing (70 comments as of Aug 5 at 1032 ET). My colleague Paul Gorbould has posted a thoughtful response to the controversy. The other lost work by Ernest Hemingway is less well known, his resignation letter from the Toronto Star. According to a number of Star histories, when Hemingway got fed up and decided to quit, he wrote a eloquent denunciation of The Star and its management on a long piece of paper taken from a teletype roll. (anticipating Jack Kerouac's method in On the Road by 30 years). Imagine what it would have been like then if Hemingway had blogged? 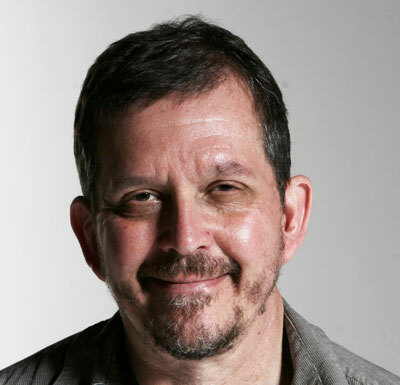 Now since it was a resignation letter, it wouldn't have broken any employee's blog restrictions, but that work, either on a blog or on teletype paper, would have likely have been the one the great documents in the history of journalism. Hemingway apparently pinned the long sheet of teletype paper to a Star bulletin board and it remained there for months, and the staff kept reading it, loving it (one wonders what Star management thought) until one day it fall to the floor and was was swept up by the cleaning staff and ended up in a Toronto landfill. I have had this website since December 26, 1999 (the date I registered robinrowland.com). It was created to promote my books and to put up the course outline and hints for my students when I taught at Ryerson University of School of Journalism. At that time, a few CBC employees had personal sites and when I started the site there was no objection, in fact I was told it was a great idea. I posted my first blog entry on October 18, 2004, to track and promote the book I was writing at the time now called A River Kwai Story. Again, at the time, I was told it was a great idea. Except of the time during the lockout, I have kept my blog tightly focused on my book project and on my photography along with occasional personal stuff. But what do these guidelines say? 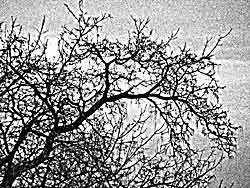 That I can't talk about the brands of cameras I use, developments in the world of digital photography or the quality of my photo quality ink jet printer? As I do here and here and here and here. Is that endorsing (or not) a product? Which brings me back to Ernest Hemingway. If he was writing today, Hemingway would have to have a blog to promote his books, it is an absolute necessity in the 21st Century. Hemingway would have had to have a blog whether he worked for The Star or was an independent freelancer. I am sure Hemingway would use a blog as an outlet for his talents and ideas that might now, in the modern world of beancounting publishing, have no other outlet, even if the name of the author is Ernest Hemingway. The problem is that most of the CBC employees who openly blog under their own names have been known from before the lockout. A year ago some of us issued the CBC Blogging Manifesto and signed our names to that document. It would have been easy to call a meeting and discuss these guidelines with the bloggers. I wasn't consulted and as far as I know, no other blogger was either. If public broadcasters are to become bloggers I would hope that they would exercise their freedom of speech exactly the way they are compelled to exercise it within the CBC: with accuracy, fairness and integrity, with the responsible speech of CBC’s Journalistic Standards and Practices that has helped make this place one of the great places in the world where the citizen can be well informed. I thought at the time that Bazay was right on and I have followed those guidelines. If any corporation anywhere, respects its employees, that is all that is needed. 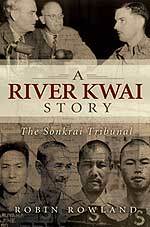 I finished the last edits of A River Kwai Story The Sonkrai Tribunal on Sunday, July 29, 2007. At the same time, the Australian publisher, Allen and Unwin, has postponed publication a second time, so instead of 2007, it is now scheduled for late April 2008, to coincide with Australia's ANZAC Day. The book had been scheduled for July 6, 2007, but there were delays in the editing process. It appears from what I am told, that unlike in North America, where the major selling period for books is around Christmas, publishers Down Under consider Christmas to be one of the worst times to sell books, except, as I was told "children's books and large novels." I am guessing it is maybe the weather, here everyone bundles up and reads through the winter, in Australia, I guess, they all go to the beach. Also the book will not be available on Amazon, or any other online retailer. I had hoped that I could make up for the total lack of interest by North American and British publishers with sales on the major online retailers. That apparently is not possible, since Allan and Unwin only purchased the Australia and New Zealand rights, they can't put it up on Amazon. Now, after I get the galleys (early September I hope) perhaps my agent can kindle some interest somewhere. One online bookstore in Queensland is advertising the book. So you can order it from QBD The Bookshop, an online bookseller in Australia, which does ship internationally. Prices are in Australian dollars. So what are my plans? This project has taken more years than I ever expected. It was in July 2000 that I was admitted to the Interdisciplinary Masters Program at York University and Osgoode Hall Law School. I defended my thesis in September 2003 and graduated in November 2003. It took me six weeks, part time, to write the thesis. But it took more than two and a half years to write the book. It took longer than I expected to turn the academic argument into a narrative. And then, as mentioned earlier in this blog, publication was postponed last year. So I while I have a few other ideas on my hard drive, I am not going to write a word, outside of work, until the book comes out. It's time to catch up on things I have put on hold for the past seven years. Let's hope that the next seven will be good ones.